There is no room for error or substandard cleaning results when it comes to professional end of tenancy cleaning, and we at Go Tenancy Cleaning Catford are quite aware of this, as we happen to be a reliable, highly efficient, professional service provider, which deals with specialised end of tenancy cleaning in all its shapes and forms. Ever since the company was established, we have worked closely with rental agencies and landlords in order to gain an insight and a better understanding of what makes an end of tenancy cleaning service really good, and actually worthwhile for our customers. 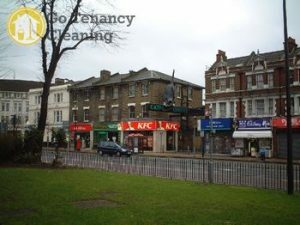 Our experience and tenacious service development has put us at the forefront of end of tenancy cleaning servicing in the area, and has made us a natural choice of company amongst other service providers in and around Catford. We don’t just claim to do a bunch of things, only to get your money, but we actually strive to provide you with the most efficient and attentive end of tenancy cleaning, that covers all of your cleaning requirements, and corresponds to your landlord’s expectations. We know how crucial good quality cleaning results are for an end of tenancy cleaning that is readily accepted by your landlord. This is why we will spare no effort, nor time, into bringing the entire property and all the rooms in it up to scratch, and have everything ready for the final inspection. Obviously, high-quality cleaning results are guaranteed, as Go Tenancy Cleaning Catford works with the most talented and motivated, professional cleaning technicians. Our guys are well trained professionals who know their work inside out and will handle each aspect of your end of tenancy cleaning with the required pace, precision and efficiency, just as expected by true professionals. Each and every room of the property will be cleaned immaculately, using professional grade cleaning equipment and materials, for best results and no risk of damage. The kitchen, the toilet and the bathroom will also be subjected to the same rigorous cleaning approach as these areas will be the make or break point of the final property inspection. Our cleaners are trained to assess the level of soiling or staining, sustained by materials and surfaces, and in turn to choose and apply the most effective, yet sparing cleaning method. Naturally, we apply only highly effective, industry approved cleaning products which are also nontoxic and eco-friendly.